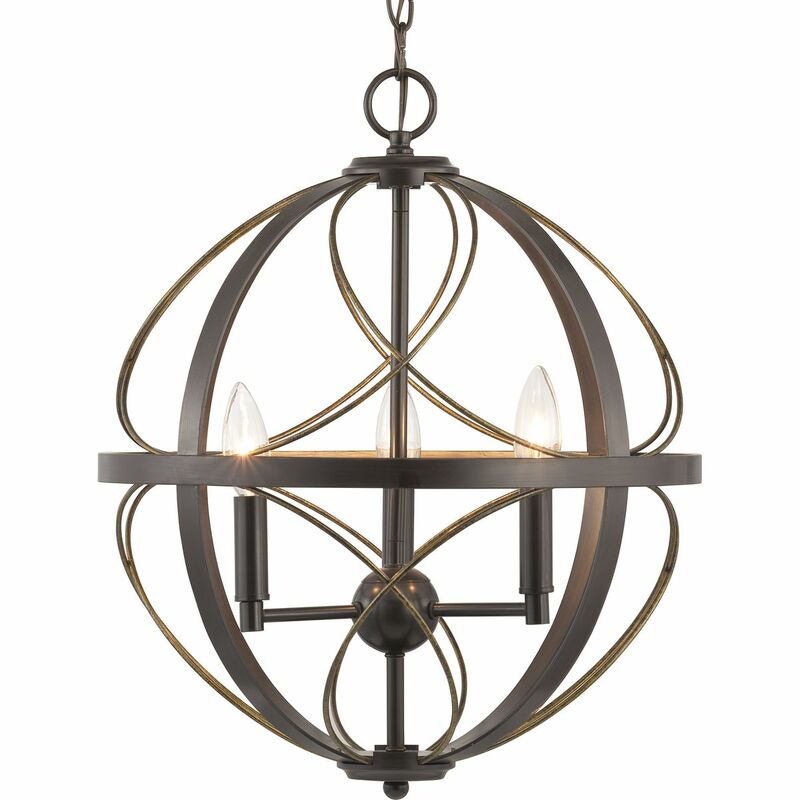 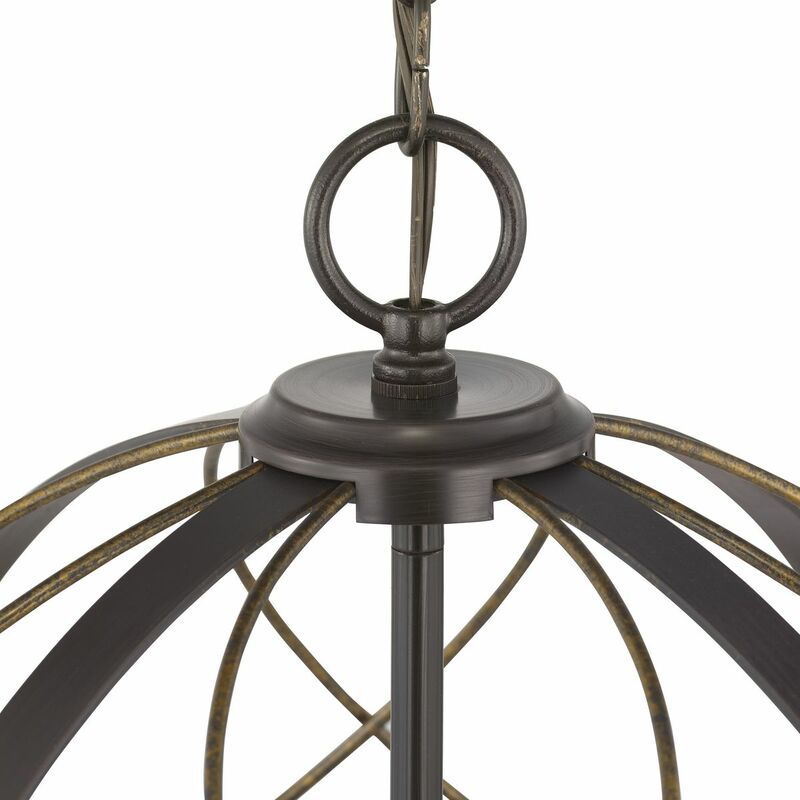 An airy artful pendant, Brandywine’s silhouette features an interlocking sphere with decorative details. 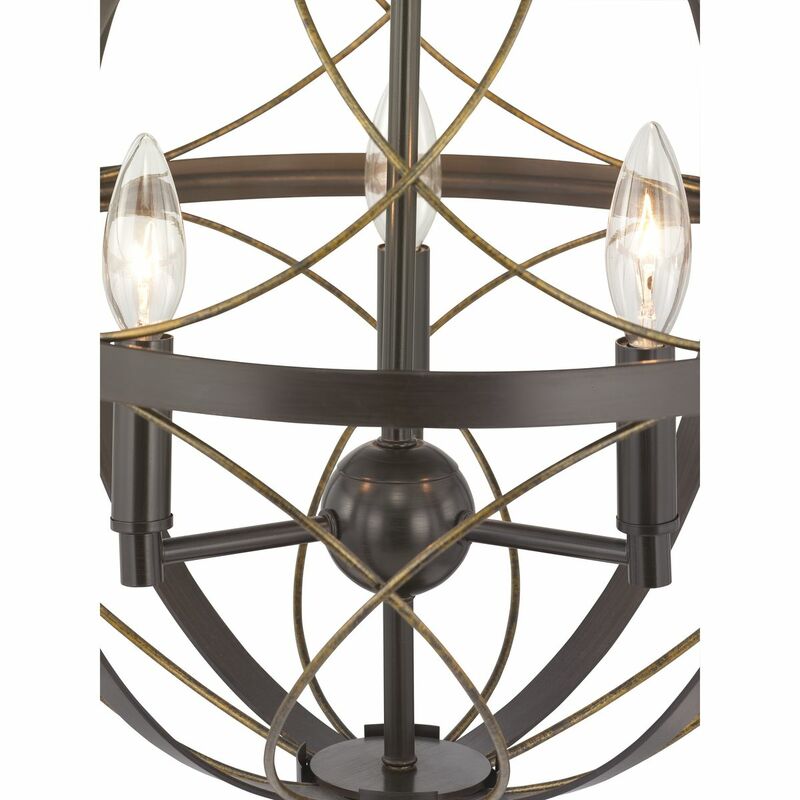 The elegant frame highlights a juxtaposition of bold accents and delicate, hand gilded wire accents, finished in an Antique Bronze finish. Capturing a timeless look, this three-light pendant is idea for Farmhouse or Transitional interior settings. 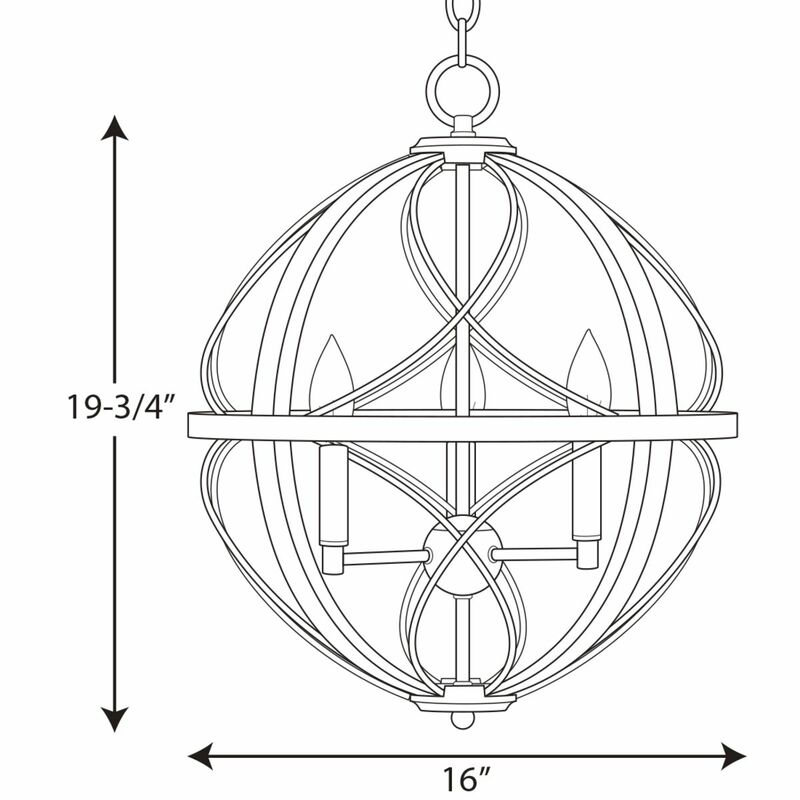 Measures 16in diameter x 19 3/4in ht.